We are often asked this question and, “YES, you do need a visa even though your partner is Australian and you have a marriage certificate.” Many people assume that as their husband or wife is an Australian citizen, they do not have to apply for a visa to visit the country – but this is not the case. This depends on your country of origin as this determines the type of visa you will need. For example, it could be a visitor visa, eVisitor visa or an ETA (Electronic Travel Authority) and it is important to remember that each of these visa types has a different processing time. nce you get the fantastic news that you have the right to enter Australia, you can think about what you would like to do during your visit. While you are in Australia, we would advise you to have a really good look around at the place where you may end up staying – get to know the area, find out a bit about the country, the culture and the local community so you can make an informed decision about whether or not you would like to live in Australia permanently with your partner. The different visas and requirements can be really confusing and you might find you have a lot of questions that need to be answered; if you think you need help, our advice is to contact an experienced Registered Migration Agent to assist you. 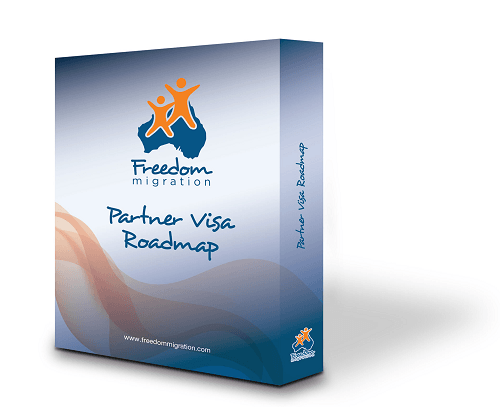 You can always contact us at Freedom Migration, we are here to help. Please feel free to ask any questions in the comments section below, we would love to connect with you. It is never too early or too late to get good advice. Hi Alice, can you give our office a call? We would need more information on the case before we can advise you of this. Our office number is 07 3063 1200. We deal with loads of these and I know we can point you in the right direction. Hello Avelyn, do you have a wechat? Hi Kevin, it’s best if you call our office on 07 3063 1200.